The recent success of deep neural networks (DNN) in unsupervised and supervised learning, in particular the success of DNN autoencoders, convolutional DNN, and recurrent DNN, have led to an unprecedented interest in DNN, and also to bold predictions of their role in taking over humanity and rendering us useless. However, DNN are considerably simplified, artificial models, that only capture the functional behaviour of the neurone’s synapses, and completely ignore the dynamic behaviour of the neurones themselves. If DNN were the key to learning and to intelligence, why did nature not create artificial instead of biological neurones? What are the advantages of biological neurones? In this talk, I show that biological neurones are very well suited to devise, or automatically learn sophisticated nonlinear controllers. We use a dynamic model that captures with decent precision, the behaviour of neurones and their synapses, in the C.elegans nematode. This model is powerful enough for designing or learning a parallel parking algorithm with just 39 neurones, where the role of each neurone is well understood. Moreover, the model turns out to be very robust, and easily extensible to tolerate faults. In fact, the neural model we use represents a Turing complete formalism, where parallel composition, and not sequential composition, is the norm. Radu Grosu is a full Professor, and the Head of the Institute of Computer Engineering, at the Faculty of Informatics, of the Vienna University of Technology. Radu Grosu is also the Head of the Cyber-Physical-Systems Group within the Institute of Computer- Engineering, and a Research Professor at the Department of Computer Science, of the State University of New York at Stony Brook, USA. The research interests of Radu Grosu include the modeling, the analysis and the control of cyber-physical systems and of biological systems. The applications focus of Radu Grosu includes IoT, smart CPS (e.g. smart mobility, smart production, smart buildings, smart energy, smart farming, smart health-care), cardiac myocyte networks, neural networks, and genetic regulatory networks. Radu Grosu is the recipient of the National Science Foundation Career Award, the State University of New York Research Foundation Promising Inventor Award, and the Association for Computing Machinery Service Award. He is also an elected member of the International Federation for Information Processing, Working Group 2.2. Before receiving his appointment at the Vienna University of Technology, Radu Grosu was an Associate Professor in the Department of Computer Science, of the State University of New York at Stony Brook, where he co-directed the Concurrent-Systems Laboratory and co-founded the Systems-Biology Laboratory. Radu Grosu earned his doctorate (Dr.rer.nat.) in Computer Science from the Faculty of Informatics of the Technical University München, Germany. He was subsequently a Research Associate in the Department of Computer and Information Science, of the University of Pennsylvania, an Assistant, and an Associate Professor in the Department of Computer Science, of the State University of New York at Stony Brook, USA. In tightly coupled systems, a breach or malfunction can initiate a cascade that culminates in system-level failure. Identification of interdependencies among components or subsystems can facilitate prediction and mitigation of the effects of these failures. To this end, we discuss the application of statistical methods such as correlation or causation analysis to identification of functional dependencies in a cyber-physical system. 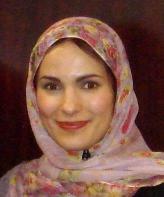 Dr. Sahra Sedigh Sarvestani is an Associate Professor of Electrical and Computer Engineering, a Research Investigator with the Intelligent Systems Center, and President of Faculty Senate at the Missouri University of Science and Technology. She received the B.S.E.E. degree from the Sharif University of Technology, and the M.S.E.E. and Ph.D. in electrical and computer engineering from Purdue University. Her current research centers on development and modeling of dependable networks and systems, with focus on critical infrastructure. Her projects include research on dependability of the electric power grid, large-scale water distribution networks, and transportation infrastructures. Her industry experience includes research and development of high availability mechanisms for the Cisco Internetwork Operating System. Her past and present research sponsors include the US and Missouri Departments of Transportation, the US Department of Education, the US National Security Agency, the US Army, the EU FP7 Program on Smart Monitoring of Historic Structures, and private industry. She is a Fellow of the National Academy of Engineering’s Frontiers of Engineering Education Program and held a Purdue Research Foundation Fellowship from 1996 to 2000. She is a Senior Member of the IEEE and a member of HKN and ACM.